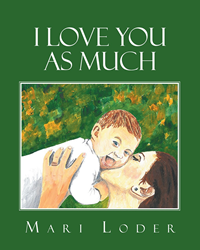 “I Love You As Much” from Christian Faith Publishing author Mari Loder is a delightful children’s book that describes God’s creations and illustrates how much a parent loves their child. “I Love You As Much”: a joyous and colorful book about a parent’s love for their child. “I Love You As Much” is the creation of published author, Mari Loder, a former teacher with a passion for reading that she has passed on to her own children. She also possesses a passion for life lessons and faith-based teachings for children. “A mother of four, I have had an interest in publishing my own book since 1993. Now that I am an empty nester, it is finally happening!” says Mari. Published by Christian Faith Publishing, Mari Loder’s new book is a lovely read for all ages, with the main purpose of illustrating to children how loved they are. Coupled with colorful paintings that depict God’s creations in all their splendor, the messages within the book compare a parent’s love with many of the beautiful wonders the world has to offer. View a synopsis of “I Love You As Much” on YouTube. Consumers can purchase “I Love You As Much” at traditional brick & mortar bookstores, or online at Amazon.com, Apple iTunes store, or Barnes and Noble. For additional information or inquiries about “I Love You As Much”, contact the Christian Faith Publishing media department at 866-554-0919.